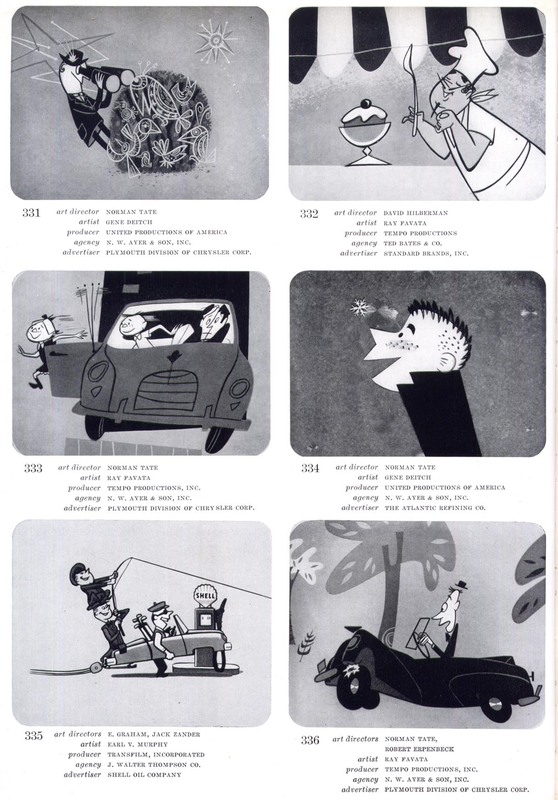 Today's Inspiration: 1950s Cartoon Art: Who Influenced Who? 1950s Cartoon Art: Who Influenced Who? 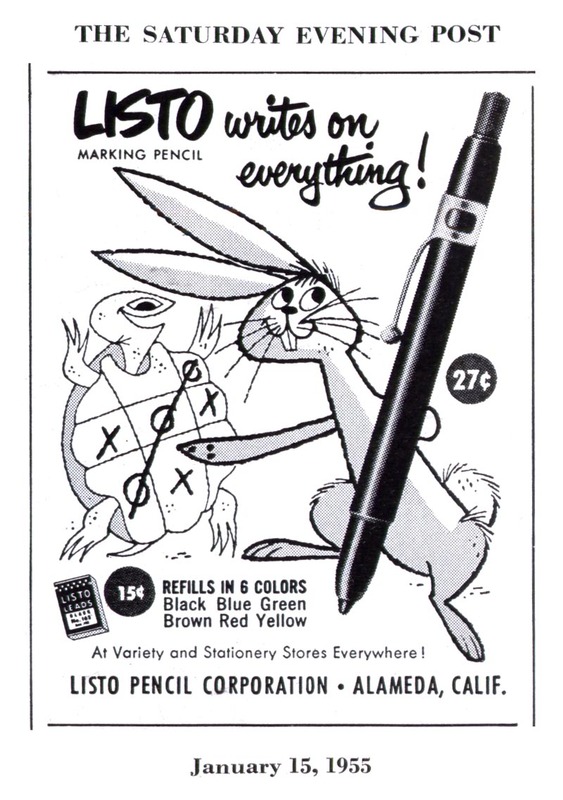 If you flip through some magazines from the 1940s looking for ads with cartoon elements, you'd very likely find quite a few that looked like this. But during the 1950s the style of cartooning changed dramatically. Why? TI list member John Norall, who was there when the change occurred, sent me a note the other day with some thoughts on the subject. John wrote, "I transitioned to TV in '55 and during those years when TV was really sweeping the world I saw a lot of sample reels from houses in LA, SF, and NYC. 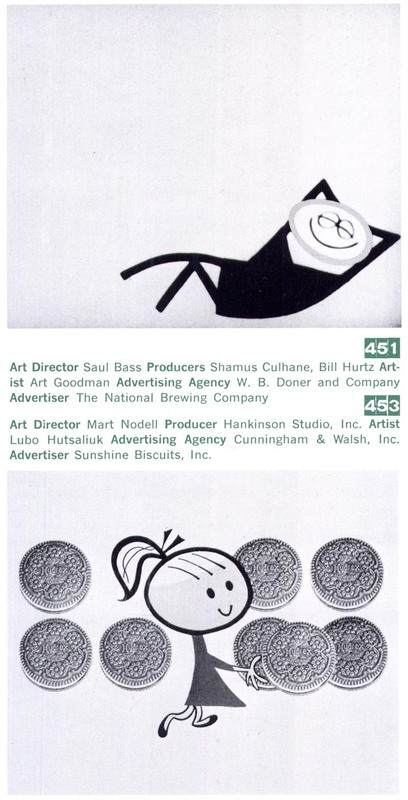 It seems to me that the animated tv spots in their B&W glory influenced print styling." "Partly because TV budgets were ruling the budget roost and print campaigns were obligated to support them." John continued, "And what style did the animators tend to use? It tended to be shapes that would animate easily and fast. 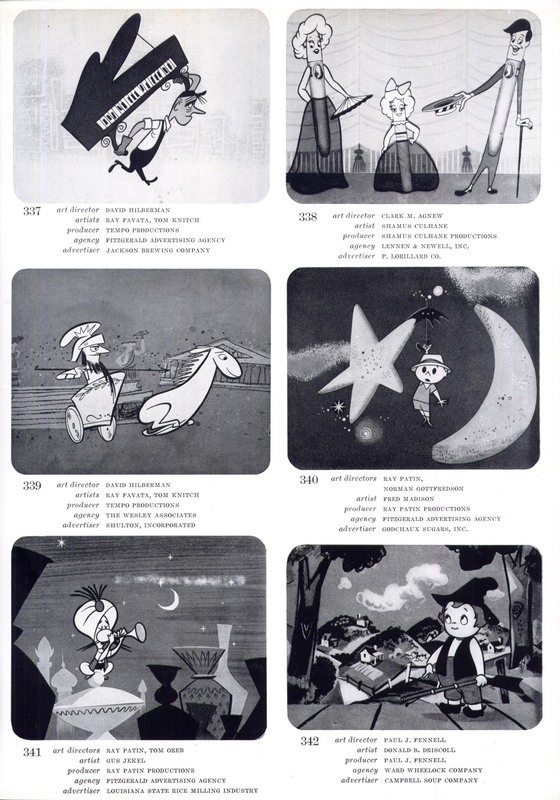 There was the UPA group with "Gerald McBoing Boing" who were revolutionaries from the more demanding Disney style." "No question about it, that simple style conveyed the stories just fine - but in their dominance at the time I think we lost a lot of line character and drawing quality in the world of cartooning." 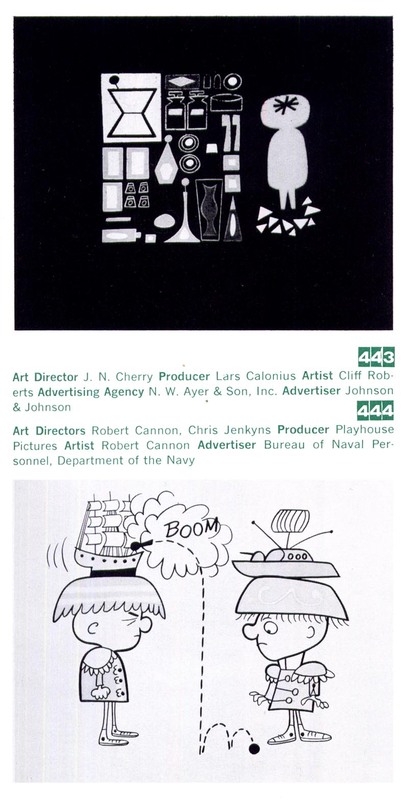 I've spent a lot of time over the last few years researching what happened to the illustration (and by extension, the cartoon art) business during the mid-century period. 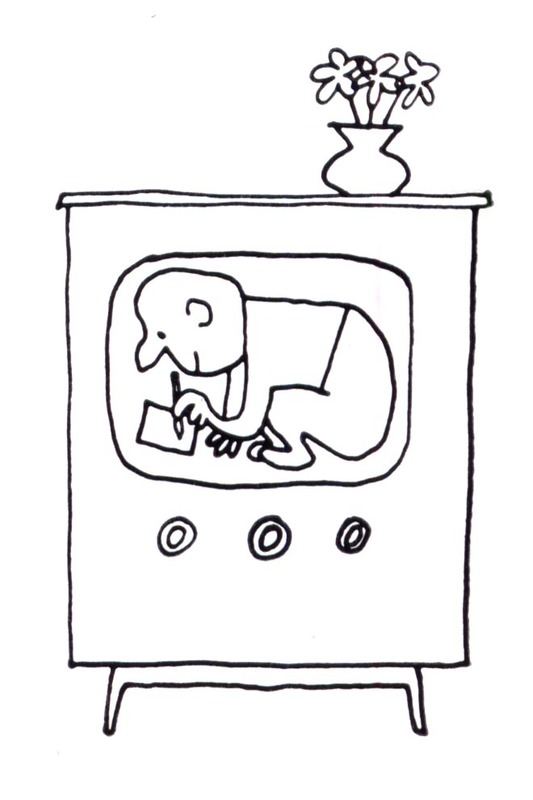 The profound effect of television on the decline of print markets for illustration is more than clear. But how art produced for television fit into the larger picture of the industry transitioning is something I really hadn't considered. John's insight was a revelation. 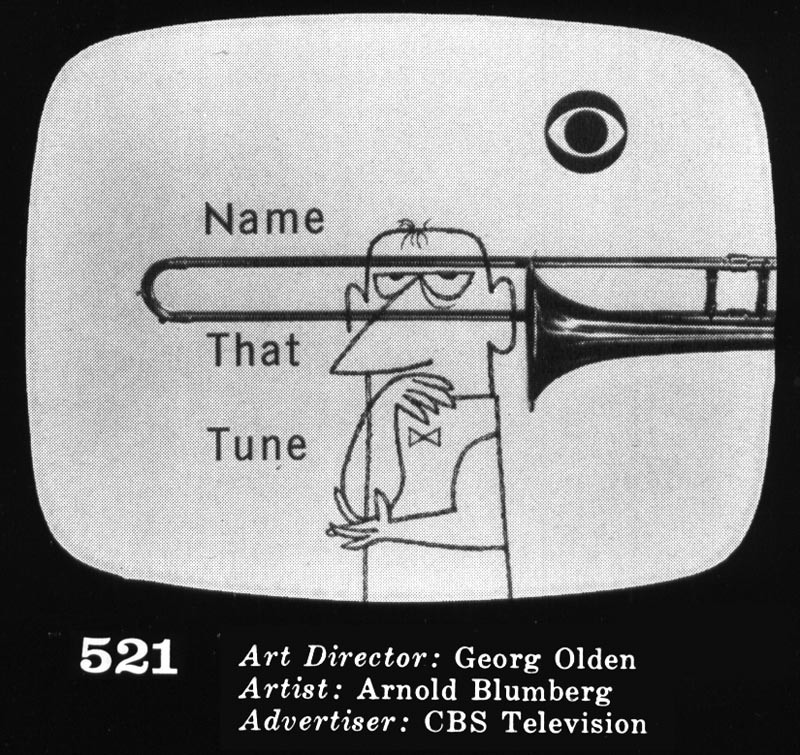 Still I have to wonder; did animators influence the look of print cartooning... or did more print cartoonists get into doing art for animated tv commercials? 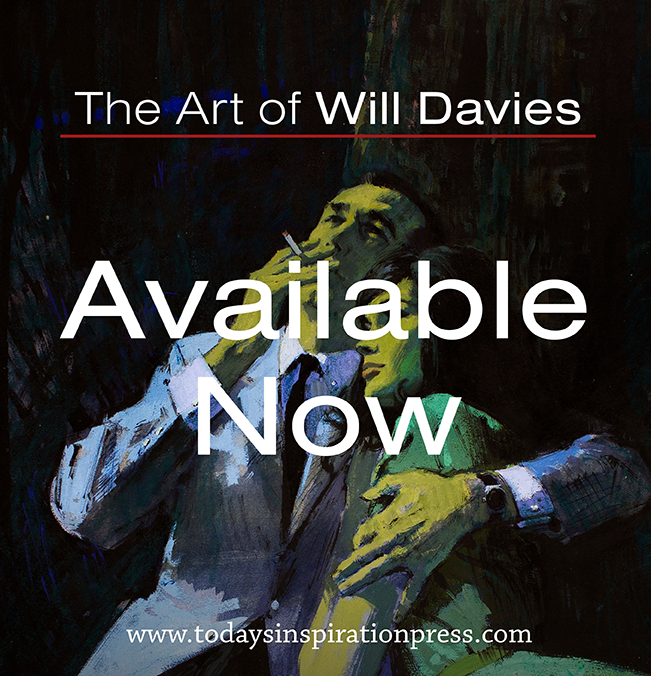 Consider someone like Cliff Roberts -- his "Book of Jazz," done in a style so reminiscent of Jim Flora's work, was incredibly well received by readers of Today's Inspiration. Roberts began his career as a Detroit print cartoonist. In the early '50s he left Detroit to join the growing New York tv commercial scene. Roberts' old friend Harry Borgman told me, "Yes, the cartoon styles changed dramatically when the new TV commercials started running, and Cliff fit right in." Harry continued, "Cliff just couldn't keep busy enough in the hard-boiled automotive-oriented art studio of Detroit. When he left McNamara Brothers Studio, where we worked together, he joined Jam Handy, a film and animation company where I think he met Gene Deitch, not sure, but he did work with Deitch somewhere." How many others like Roberts saw the opportunities in this new emerging market, and how many abandoned print to pursue those opportunities? 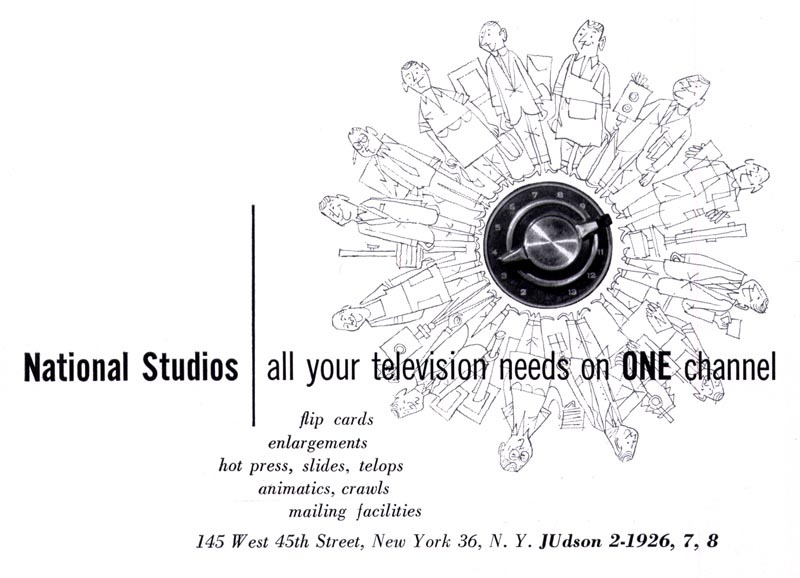 The back pages of all my Art Director Annuals are thick with ads for studios and artists' reps... and beginning in the early '50s, ads for a new kind of studio began appearing there - ads that offered services specifically to the television industry. 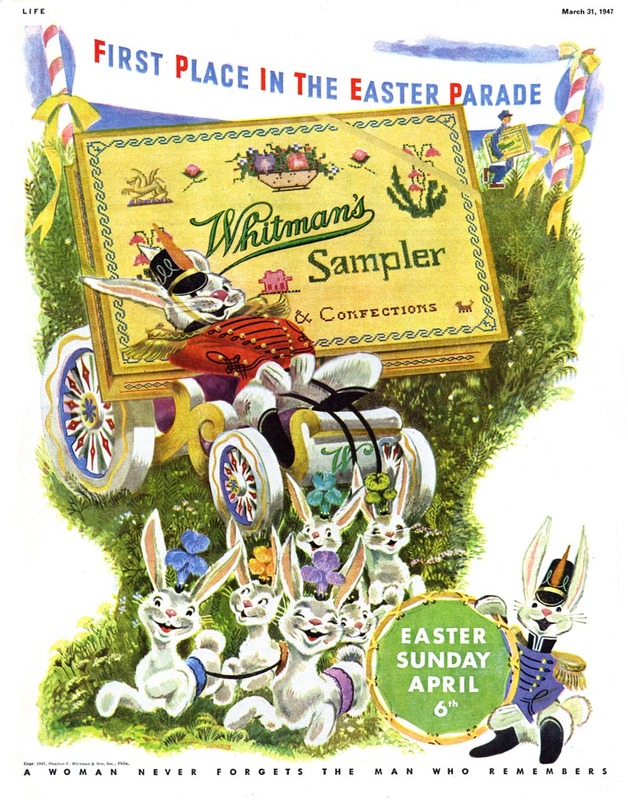 and those ads almost always prominently featured cartoon art. 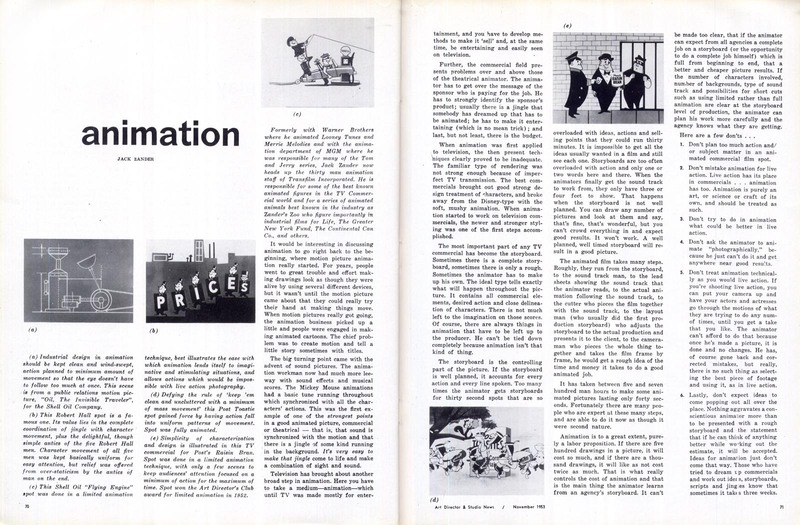 The November 1953 issue of Art Director & Studio News featured a two-page spread describing in detail how animation was changing the ad industry landscape. 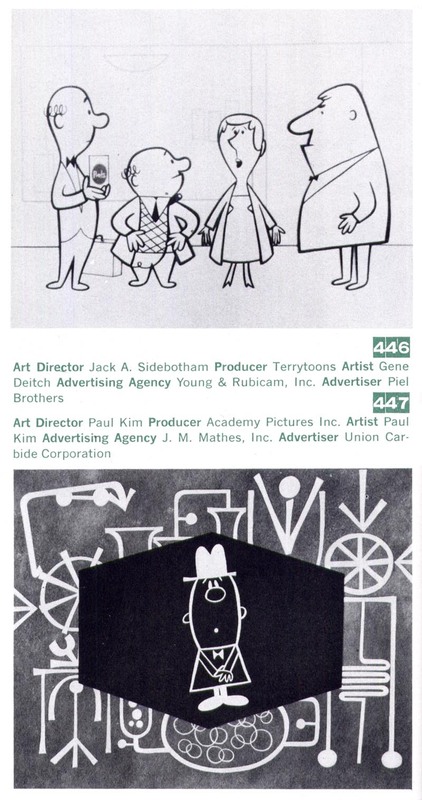 All of which helps to explain why the look of ads with cartoon elements changed so dramatically during the '50s... but as for who influenced who, that remains unclear. Tomorrow: Who drew all those awesome ads? Yeah that does make a lot of sense! 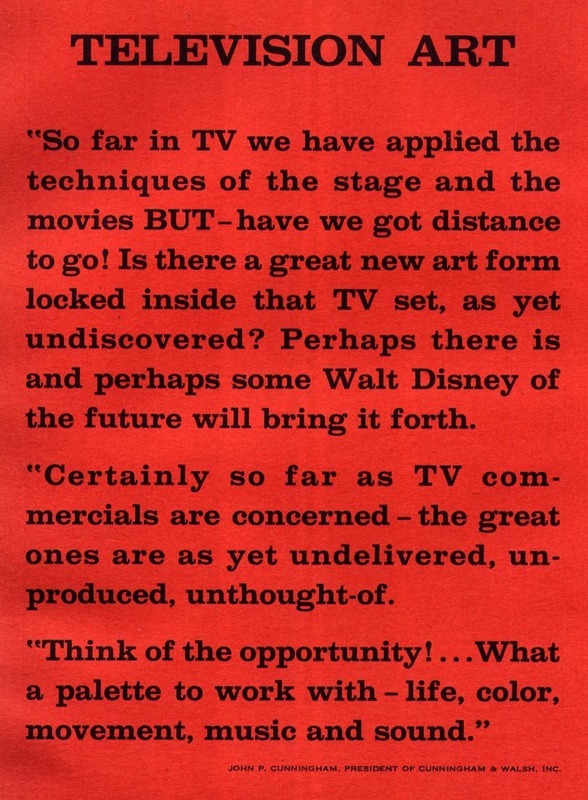 "Perhaps there is and perhaps some Walt Disneys of the future will bring it further." As an illustrator, my observations may be way off the mark....but that hasn't stopped me before! First....fine,clever, sophisticated cartoons on TI this week, Leif. S.F. and L.A. both had their share of good cartoonists, and during my ad days. they were popular and effective. On average, don't think they received quite as much pay as 'straight' illustrations received. As to those noble predictions back in the 50's on cartooning on TV....again, from my perch....what gained public or popular acceptance? The 'Simpsons' and the Pixar type animated figures! Hardly noble. Animation certainly effected print. 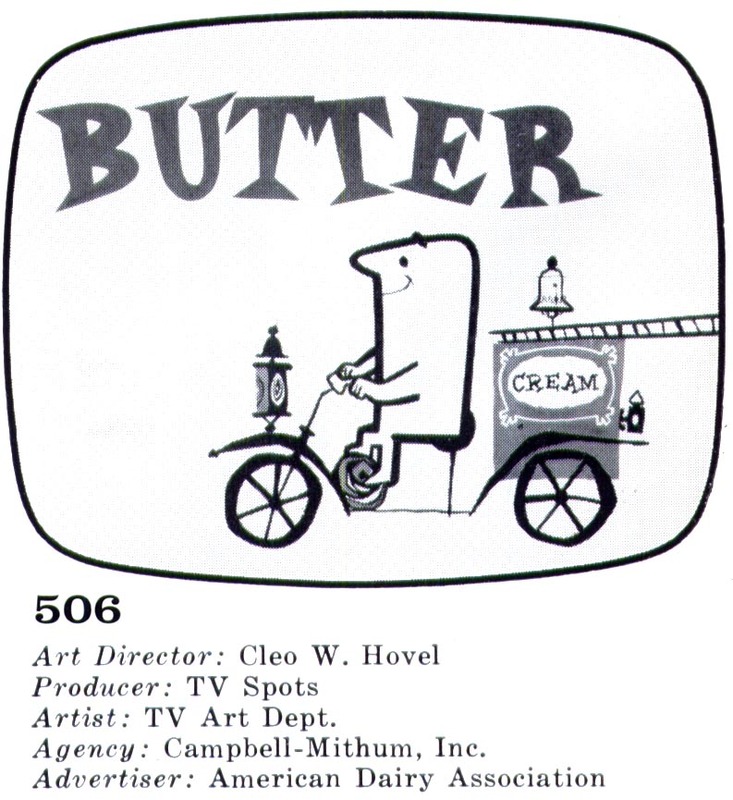 The cereal campaigns were designed by people like Alice and Martin Provensen, and Mary Blair who not only did commercial work for animation but also print ads and childrens books. Many commercial products tried to create a synergy with branded animated characters used in multi-media campaigns. Wonderful and thoughtful post again my friend. This is fabulous! I love UPA stuff and it's great to learn more about it's evolution from the cradle. There's a book,or a thick issue of the Comics Journal, about the Deitch family put out by Fantagraphics that has Gene Deitch talking about working at UPA.His son is the underground cartoonist Kim Deitch. Klee, Miro, Steinberg, Hirschfeld and the more sparse practitioners of the "cartoon boom" of the 1920s and 1930s. It was the philosophy all along of moderne thinkers, some folks at the bauhaus for instance, to pare down design to its essentials in order to do away with wasteful ornament and to expedite production or reproduction. This had the coincidental effect of pre-creating a style of art-design that was tailor made for the "easy animating" of tv commercials later. Modernism is cartooning, after all. Fantastic post Leif, really interesting! Just one more observation I'd like to make. There seems to be some synchronicity with the whole modern art movement and the young technology of television. 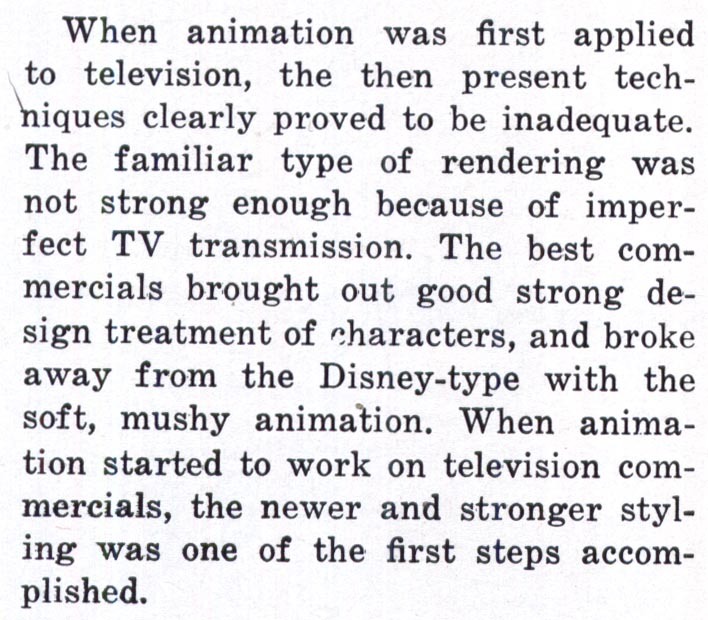 Just as the art scene was simplifying everything into stylized graphics, the poor image quality of early television was prefect for bold simple graphics too and the cost for stylized animation much less expensive than conventional theatrical work. UPA is a perfect touchstone for modern art infiltrating animation. Excellent post Leif! 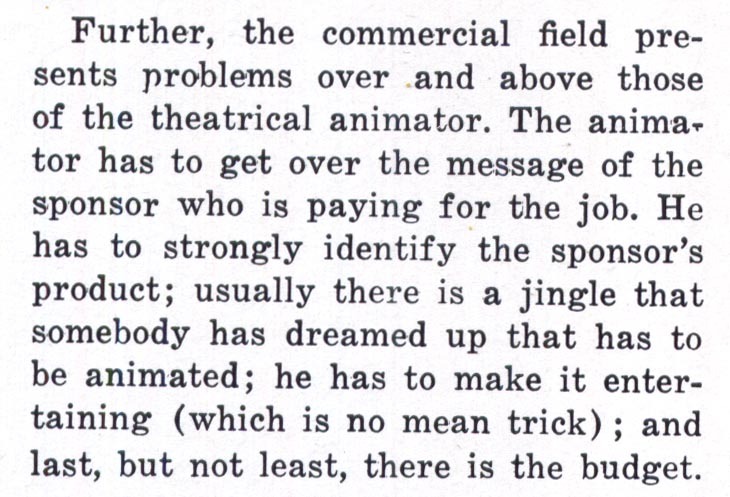 Peculiar why animation artists (UPA, Mary Blair et al.) absorbed the influence of Picasso, Matisse etc. before their illustration counterparts. "...but as for who influenced who, that remains unclear." the book 'Cartoon Modern' by Amid Amidi reveals all. 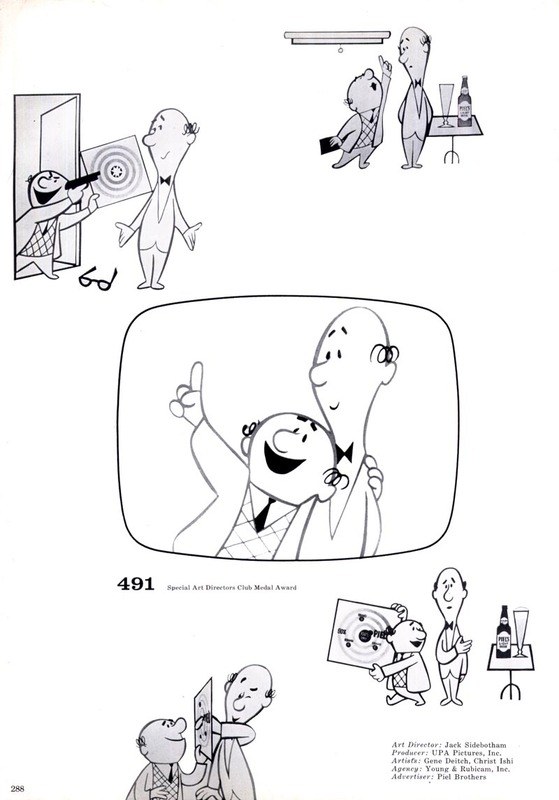 it's a pretty invaluable reference source for anyone interested in the graphic styles of 50s animation. many thanks to everyone for adding some more thoughts on the subject. I can certainly appreciate that the fine art movement of the time must have been powerfully influential on cartooning - both in print and animation. Thanks to Lawrence John for the heads up on Amid's book! I think I'll continue to explore this subject a little further and more broadly... I have a couple of other articles I can reference and some obscure imagery that's well worth presenting.